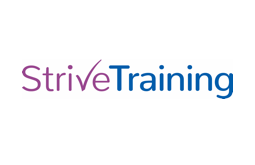 Strive Training specializes in the quality delivery of Food and Drink skills qualifications. Given their years of butchering training, Strive Training’s expert butchery assessors are best suited to deliver this new standard with the utmost professionalism. Strive Training works closely with employers to devise a schedule that best suit their needs, including training delivery during the day or evenings, weekday or weekends. Strive Training assessors only ensure that students will only sit the end-test when they are absolutely ready. We look forward to up-skilling your employees, while you focus on your business, productivity and growth.